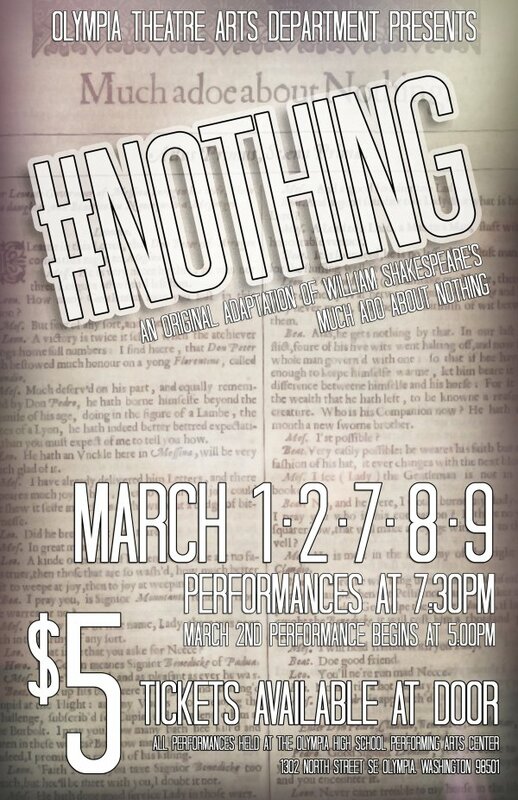 The second play of our 2018-2019 season is a new approach to Shakespeare's beloved romantic comedy, Much Ado About Nothing. Don Pedro and his conquering army have returned to Messina after a long war bringing celebration and revelry to the estate of Leonato. Hero, Leonato's only daughter is enamored of the returning Count Claudio, one of Don Pedro's highest-esteemed soldiers. He is in love with her as well and with the war being over, the time may be right for their wedding. Also returned is Benedick to continue his merry war of words with Beatrice, Leonato's witty and wonderful niece. Don Pedro decides that he will endeavor to make Beatrice and Benedick fall for each other while waiting for Claudio and Hero's wedding. Much ado is made while going about this while Don John, the estranged and newly-reconciled brother to Don Pedro, seeks to cause as much mischief as he can. Many times, Shakespearean plays are updated into modern eras or time periods. We have set our version using the framing device of a high school classroom. The characters are played by students in a class who are reading the play and studying Shakespeare. The students / characters of this performance will learn about themselves, their relationships with each other, and perhaps a little about Shakespeare along the way. This treatment of the script is inspired by the play Shakespeare's R&J by Joe Calarco, and hopes to prove the relevancy of depth of meaning behind Shakespeare's works. Much Ado deals with the fickleness of love and fancy with heavier themes of betrayal, trust, and jealousy throughout.